Mission Purposeful: Something Bigger than Ourselves | UC Berkeley Student Affairs Community Blog! Think of a time when you felt really alive. Perhaps you were traveling abroad; completed a physical challenge you never thought you could achieve; or felt a strong connection to a person you just met. You may have understood the purpose of why you experienced those moments, and likely, there was a renewed sense of meaning for you. Imagine a workplace where every staff member feels like their job is important–no matter what position they hold. Additionally, the mission or purpose of the organization allows people to deeply connect with others, feel engaged, stay committed longer, and helps everyone understand that they are a part of something bigger. The Gallup 12 survey consists of 12 questions that measure the most important elements of workplace employee engagement. Over 25 million people around the world have utilized this tool to gain a pulse of their engagement and the impact it has on the organization’s effectiveness, productivity, and performance as a team. The 8th element and statement on the survey is “The mission or purpose of my company makes me feel like my job is important.” This element represents a “…higher level emotional need that measures an important source of motivation for team members…” (Gallup Managing for Engagement Resource Guide, 2013). Likewise, in the article “Rethinking Work” by Barry Schwartz, he cites several real life examples and research that states most individuals want work that is meaningful, where they make a difference to other people, and thus, provides a deeper sense of purpose for their work. As a leader, it is important to know that excellent performance occurs when staff are deeply attached to a sense of purpose in their lives. Gallup states that mission-driven teams have 15-30% less turnover. Moreover, having a strong connection to the mission and purpose in the workplace for a staff member will likely allow people to feel a sense of belonging. As we all know for our students, it is vital for them to have a sense of belonging an community. Our staff also need that connection. In your next 1:1 meeting, share the importance of your staff member’s role to the department and to the overall Division of Student Affairs. You may have staff that do not work directly with students; however, help them understand HOW their role positively impacts the student experience. 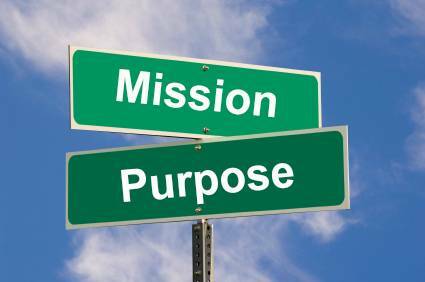 In a staff meeting, have people share in dyads who they believe “lives” the mission or purpose of the department. Have them share behaviors and actions of what that person does. Recognize and praise staff who align with your organization’s mission.